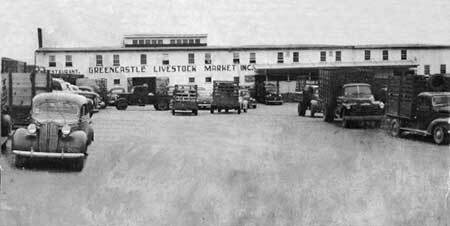 1941 – Greencastle Livestock Market was built, owned and operated by Leonard Knauff. 1947 – The market was bought by several livestock owners, including Jim Metz, John Snyder, A.K. Martin and Snavley Cunningham. 1982 – The business was sold to Jay McCoy. 1985 – Current owner, Jeff Craig, bought the livestock market. The current livestock market occupies about 5 acres of real-estate. Additions, upgrades and improvements to the initial building structure were made with each ownership.